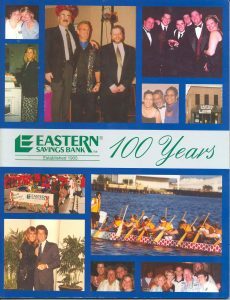 The story of Eastern Savings Bank is an amazing story of success. Click anywhere on our timeline to find out why! The Bank, then named Eastern Building and Loan Society of Baltimore City, was established in 1905 as a Maryland state chartered mutual building and loan association. 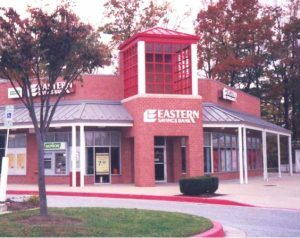 By the mid-1900s, Eastern Building and Loan was only one of over 200 small savings and loan associations in the Baltimore area and was open just a few hours every Monday night to cater to its customers’ limited financial needs. 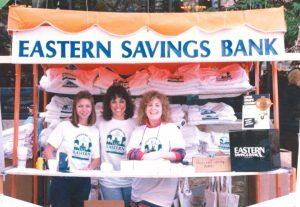 Throughout the years, Eastern Building and Loan maintained its neighborhood savings and loan image by catering to a customer base consisting primarily of local residents. Following the Great Depression of 1929, the banking system was in chaos. Banks tried to collect on loans made to stock market investors whose holdings were then worth little to nothing at all, and, unable to raise fresh funds from the Federal Reserve, found their attempts to survive to be quite futile as banks began failing by the hundreds. However, Eastern pulled through hard times and emerged as a healthy financial institution. Having survived the Great Depression, Eastern was optimistic and eager to face any accomplishment or obstacle that lay ahead. In 1975, Eastern Building and Loan, still a small one-office association, had big dreams for a successful future. Square Permanent Building and Loan, though slightly larger, was another small association with a drive for success. After deliberating, the two banks agreed that a merger between them would be a wise and profitable decision. The merger took place on December 30, when the two became Square Permanent Building and Loan. At that time, Square Permanent was located on Eastern Avenue in Baltimore City and had branches in Overlea and Easton. With this productive merger, the development of the Bank, soon to be known as Eastern Savings and Loan Association, was well in progress. 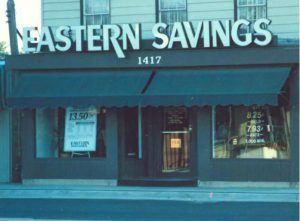 In September 1980, the Board of Directors approved the conversion of Eastern Savings and Loan Association from a mutual association to a capital stock corporation. 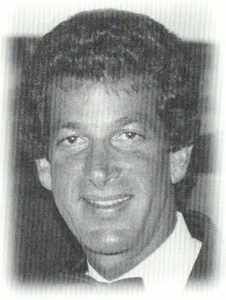 The conversion was completed in the spring of 1981, and Harold Goldsmith, a respected businessman from Baltimore, purchased the majority of stock and assumed the offices of President and Chief Executive Officer. At that time, Eastern Savings and Loan had $7 million in assets. In the fall of 1981, under Mr. Goldsmith’s leadership, a new branch was opened in Pikesville, and the Association began developing new products and services responsive to the lifestyles and financial needs of the consumers of the day. Keeping up with the rapidly changing financial industry, Eastern Savings and Loan converted from a state chartered savings association to a federally chartered and insured savings bank. 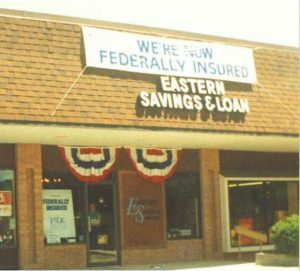 On January 14, 1986 the Association changed its name to Eastern Savings Bank, fsb. In the fall of 1995, a fourth branch was opened; this time, in Ellicott City. 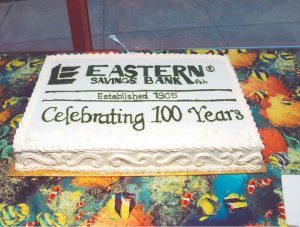 This branch opening was the latest element in making Eastern Savings Bank the Bank we know today. We commemorated our Centennial, celebrating 100 years of service in the communities we call home. 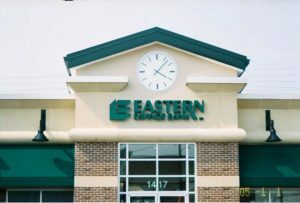 Eastern Savings Bank remains privately owned and is still one of the most highly regarded community banks in the Baltimore area. Currently, the Bank has four full-service branch locations, in addition to the Corporate Headquarters in Hunt Valley.